Uncommon is the word I would use to describe this ref. 6518 34mm. 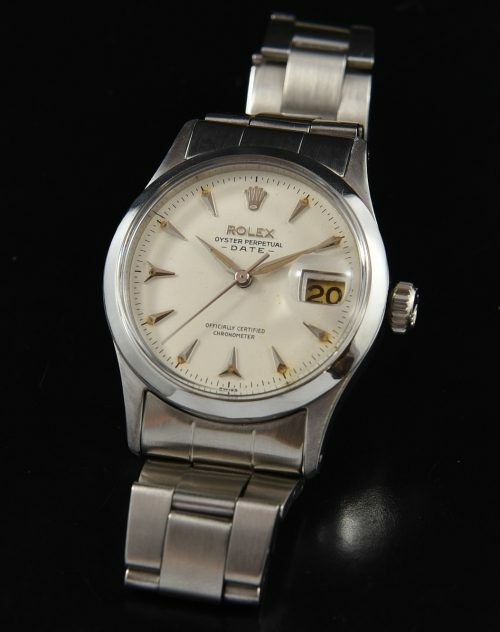 stainless steel ROLEX OYSTER PERPETUAL with a date feature. We have found these watches only in Canada. This 1956 watch is entirely original, including the uncommon flat-sided ROLEX OYSTER case. Notice the original dial with very interesting and rarely seen “Delta” style raised steel markers and original Dauphine hands with sweep seconds and original lume. 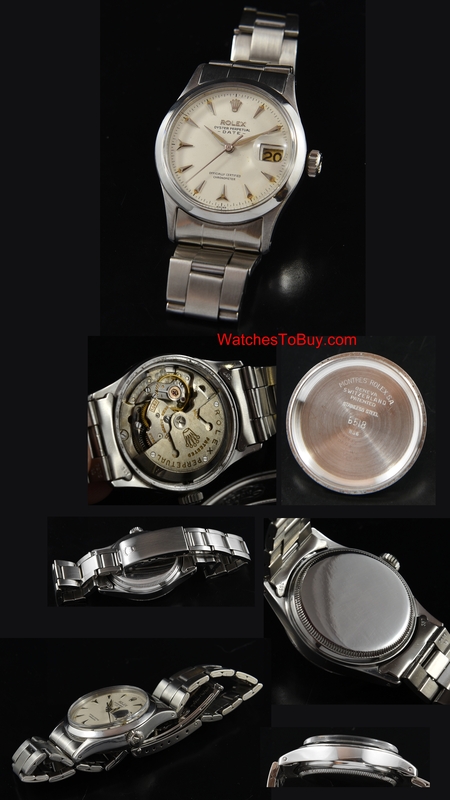 The caliber 1030 automatic movement is the same as used in the early ROLEX SUBMARINER-this one just cleaned and fine. A later folded ROLEX OYSTER bracelet completes the look. This is a highly collectable watch you will rarely see.